Sri Lanka is known as the pearl of the Indian Ocean…and for very good reason. 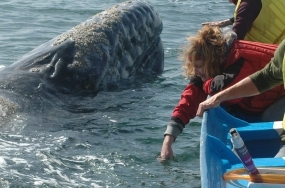 It is one of the finest wildlife destinations on the planet, from the largest animal ever to live on the earth – the blue whale – to a variety of unique flora and mega fauna. Keeping travelling time to a minimum, Whales Worldwide have selected a unique itinerary that will allow you to see one of the greatest concentrations of blue whales anywhere in the world in addition to coastal dolphin species. We also have the opportunity to experience some of the terrestrial mega fauna and bird life for which Sri Lanka is so famous by visiting Sri Lanka’s premier Yala National Park and Kelamatiya bird sanctuary. The blue whale (Balaenoptera musculus) when fully grown may reach a length of 30 metres and weight in excess of 150 tonnes. They are the largest animal to have ever lived on the earth. The total Indian Ocean population may number as many as 2,000 individuals and represents the most significant aggregation of these animals anywhere on the planet. Your guide on this once in a lifetime experience is Nic Slocum. A qualified zoologist and experienced wildlife guide Nic has been watching wildlife around the world for the last 30 years. His great passion is marine mammals but Nic’s detailed knowledge of the wildlife of Asia ensure this is both an informative and enjoyable adventure holiday. The photographic opportunities for both wildlife and landscapes will satisfy the most discerning of photography enthusiasts. The south coast of Sri Lanka is a unique wildlife destination. 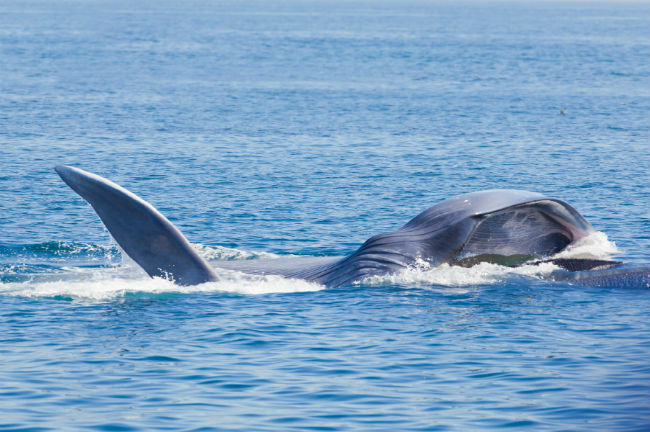 The blue whales off Mirissa are feeding largely on krill in the deep water troughs off the south coast of the island and do not migrate any great distances. The dolphin species are resident to this part of the coast. In addition to the marine wildlife Sri Lanka has the greatest densities of wildlife refuges and national parks of any Asian country. It is possible to see elephants, leopards, crocodiles, sambar, spotted deer, sloth bears, pangolin, jackal, wild buffalo and mongoose among the many species that make the wetlands and forests of Sri Lanka home. The bird life of these habitats has to be seen to be believed. A zoologist by training, Nic has published articles on conservation related issues in both regional and national newspapers. Nic Slocum divides his time between West Cork, Ireland and other iconic whale watching destinations around the world. 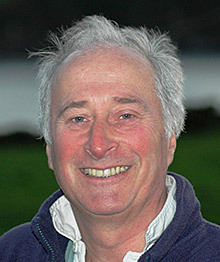 He is the director of Whale Watch West Cork which runs boat based tours to watch and photograph whales and dolphins off the coast of southwest Ireland. The Blue Whales and Leopards of Sri Lanka wildlife adventure starts and finishes in Colombo, Sri Lanka. Day 1. Arrive Colombo and transfer to our hotel. Some time to explore this fascinating city and take in the sights and sounds of Sri Lanka, the Pearl of the Indian Ocean. Day 2. After a leisurely start we join our boat tour from Mirissa Harbour looking for the largest animal on the planet, the blue whale. We may well encounter other species like pilot whales and various coastal dolphin species as we head east along the coasts from Mirissa towards Matara and Dondra. Day 3. We take a day tour to one of Sri Lanka's many bird reserves. Kelamatiya bird reserve and the associated wetlands surrounding this part of Sri lanka are home to many endemic bird species. Sri Lanka has recorded 492 species of birds of which 219 are breeding residents. Sri Lanka is recognised by BirdLife International as an EBA, an Endemic Bird Area critical for the habitat based conservation and preservation of bird species. Day 4. We take another boat tour from Mirissa Harbour looking for the many cetacean species that inhabit these waters. This time we venture further out on the stunningly blue Indian Ocean in search of the endemic groups of spinner and common dolphins that frequent these coastal waters before heading out looking for sperm whales which may also be encountered in this area. Day 5. Travelling through some the prettiest parts of Sri Lanka we transfer to the lovely Thaulle Resort on the outskirts of Sri lanka's premier Yala national park. Day 6. Yala nationalpark is well known for it high density of Leopards. We take a Jeep safari into the park looking for elephants, leopards, sambar golden jackals and sloth bears to name a few of the land mammals we may see here. We also get many bird species like spot billed pelican, lesser adjutants, Indian and great thick knees and many raptors found only in Sri Lanka. Day 7. Yala national park is such a special location for unique wildlife and superb photographic opportunities that we leave for another early morning Jeep safari before returning to Dondra. Day 8. 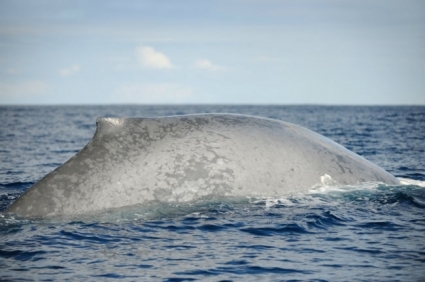 A boat tour from Dondra looking for blue whales, sperm whales and groups of spinner dolphins. In order to experience all that the southern part of Sri Lanka has to offer we divide our time between the Weligama Bay Resort and the Thaulle Resort, Yala. This enables us to enjoy the amazing blue whale and dolphin watching off Mirissa and Dondra before visiting Sri Lanka's premier Yala National Park in the eastern part of the island. Although the distances between our destinations are not great the roads are quite slow which gives us ample opportunity for enjoying the scenery as we travel between hotels. The hospitality of the Sri Lankan people, the wonderful food and first class accommodation make this tour ideal for both the seasoned wildlife watcher and those seeking an activity holiday with a difference. All ground transportation when in Sri Lanka. All boat tours and entrance fees to national parks and reserves. All hotel accommodation and meals when in Sri Lanka. Flight to Colombo, Sri Lanka. Personal items you may wish to purchase during the tour. Any alcoholic drinks you may want.